I'm so glad to be back in Rhode Island for school, but living closer to the water means more rain and wind and gross cold mornings. They say that April showers bring May flowers, but what about the storms in the middle of winter? That's what I like to be prepared for. 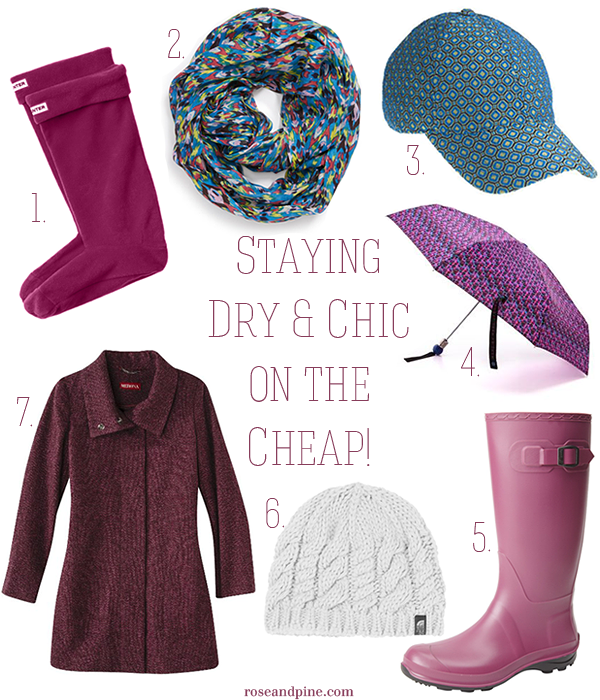 I've organized a list of fashionable necessities to keep you warm and dry in the rain, and every item is under $60! I made sure to pick out extra colorful items too, because nothing is more depressing than a dreary grey day. What is your favorite accessory to stay dry during rainy winter days? I have Hunter boots in that berry color and love them!